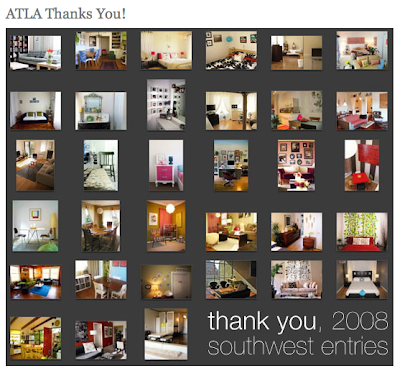 I always thought that line was silly but it is true for this year's Apartment Therapy's Small Cool 2008 contest! Although we won't be winning the contest, it was fun to be picked as a semi-finalist and to be part of the community of great little apartments on display. Check out all of the Small Cool pads here. And see our little square in the above pic - bottom row/middle. 0 Responses to "AN HONOR JUST TO BE NOMINATED..."